Yahoo launched a new browsing experience this evening in the form of Yahoo Axis, a plugin for desktop browsers and a full solution for iOS devices. As all of the search companies are attempting to redefine the user experience from Googles Knowledge Base to Bing’s new layout, and now Yahoo has joined the game with Axis. The new tool acts as a plugin for most desktop browsers – Firefox 7+, Safari v5+, Internet Explorer 9 and all versions of Chrome – that will present you with thumbnail visual results that will let you see what you want to navigate to. The browsing experience can stretch across your desktop and your mobile devices as you can search on one and view the results on the other. Thus far the mobile version is restricted to the iPhone, iPad and iPod Touch, but one has to imagine that Android will be supported in the future. Your search history will be stored on Yahoo’s servers so you will be able to access it with whatever your device on. Can Axis restore Yahoo to some of its former glory? Only time will tell, but from our quick spin with it in Chrome, it isn’t exactly wowing us as of yet. SUNNYVALE, Calif., May 23, 2012 – Yahoo! (NASDAQ: YHOO), the premier digital media company, today announced the availability of Yahoo! 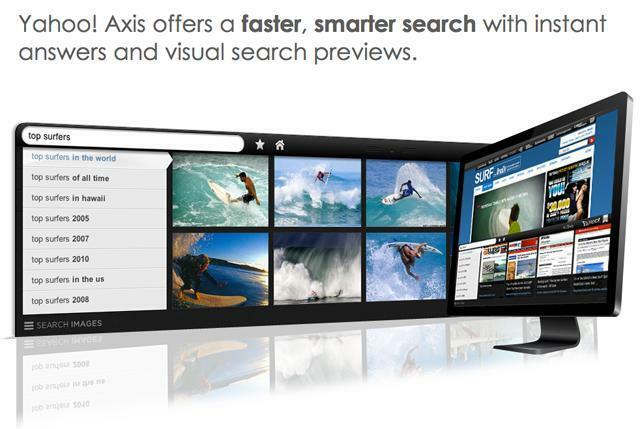 Axis, a new experience that re-imagines how people search and browse on the web. Axis offers the only search experience that allows you to enter your search, see and interact with visual results, all without ever leaving the page you are on. Axis seamlessly integrates with your favorite desktop browser and automatically connects your online experiences across multiple devices. Axis is available today for download across iOS devices and as a desktop plug-in for HTML5-enabled browsers. · Smarter, Faster Search with Rich Design: Axis gives people instant answers and visual previews so they can continuously discover and explore content without interruption. Encased in a sleek design, Axis keeps people moving forward rather than constantly returning to a page of endless blue links. Once on a search results site, Axis also lets people simply swipe or click to the next result. · Connected Experience: Axis allows people to move seamlessly across devices. Upon downloading Axis, people can start a search on their computer, flip through the results while out on their iPhone, and finish the search at home on their iPad. Content can be easily shared by email, Pinterest and Twitter. · Personalized Home Page: After signing in with Yahoo!, Google or Facebook credentials, Axis centralizes online lives with a customizable Home Page that provides direct access to their favorite sites, saved articles and bookmarks across all devices where Axis has been downloaded. 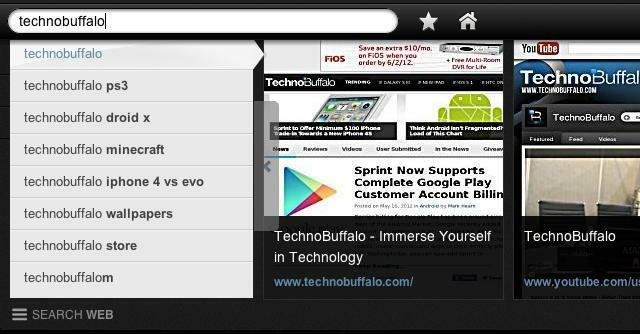 · Standalone Mobile Browser, DesktopPlug-In: On iPhone, iPad, iPod touch, Axis serves as a standalone mobile browser app. On the desktop,Axis is a browser plug-in that works with Firefox 7+, Safari v5+, Internet Explorer 9 and all versions of Chrome.